FAS 302 is the ideal combination of a civilised road car and a highly competitive racing car - just as the original was. It is a standard road car with discreet performance and safety upgrades to cope with modern roads and conform with race regulations. This car can cope with London traffic, thrill the driver on the open road and, with its meticulous preparation, behave perfectly when raced. 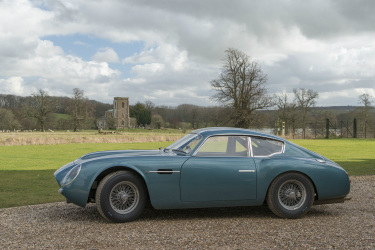 The car has been built and maintained with no regard to cost and is a close as one can get to a brand new DB4 Zagato. 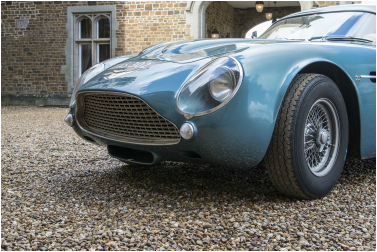 The front end of FAS 302 copies that of the first DB4 Zagato (chassis 0200/R) when it left the factory. The original front of 0200/R was damaged in a racing accident early in its life and never accurately repaired so the front of this car had to be replicated by painstaking study of photographs taken before 0200/R's crash. This makes the front end of this car unique as all subsequent DB4 Zagatos had a simplified front end. The shape of the rear side windows are also unique to 0200/R due to a slightly lower roof line than that of the other DB4 Zagatos. On later Zagatos the bottom curve of the rear side windows follow the curve of the rear wheel arch. 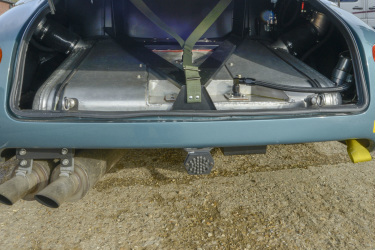 On FAS 302 there are a few deviations from the original due to the owner's preference, for example this car has button and lever door handles and does not have the extended chrome side flash. 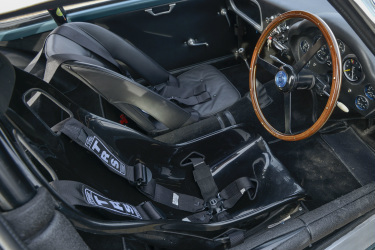 The car has two leather trimmed Zagato seats as in the original but for racing a bucket seat can be fitted (shown) - as are harnesses, a half role cage, an electrical cutout and a fire extinguisher system. All this racing equipment is compatible with road use, but it can be easily removed. 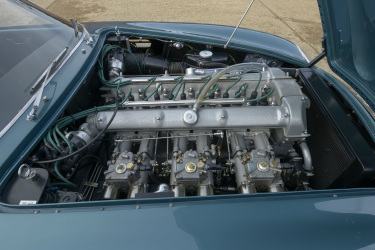 The original 3.7 litre block was fitted with a new twin plug head and all the internals upgraded to the latest high performance specification giving almost 340 bhp at the flywheel and very high level of reliability. A rev limiter is fitted to prevent over enthusiastic use of the engine. The engine bay features the under bonnet inspection lights and the unique bonnet catches as found on the original. The boot is filled with a 30 gallon tank and a spare tyre. A high performance Holly pump has been fitted for reliability. Like the bonnet the boot is held closed by unique catches. Also shown here is a rain light and yellow tow loop that are mandatory for racing. Both are easily removed.